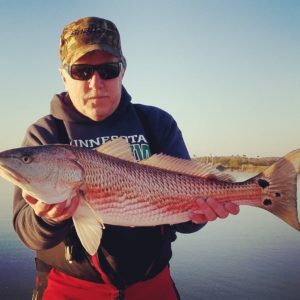 With the weather cooling down the bite is heating up in the Daytona Beach, Ponce Inlet areas. We also have Black Drum and Flounder moving in. Live Shrimp is the key this time of the year. Use them on a float or free line around the bars and lay downs. Fish are from Ormond Beach , Daytona, Port Orange and Ponce Inlet. The Bluefish, Ladyfish and many other colder water fish are moving in to the Halifax River. Now is a great time to be out on the water.